Centerstone is seeking new clients to enroll in a new grant funded program. The Certified Community Behavioral Health Clinic (CCBHC) grant was awarded to Centerstone to expand and improve community health care in Southern Illinois. The focus population includes individuals with serious mental illness, substance use disorder, co-occurring disorders, and children and adolescents with serious emotional disturbance in the following counties: Calhoun, Greene, Jersey, Macoupin, Madison and St. Clair. Those who qualify can participate in this and other programs through Open Access walk-in hours between 9:00 am – 2:00 pm at the Alton, IL office at 2615 Edwards Street. During Open Access walk-in hours, a new client will receive a mental health assessment. 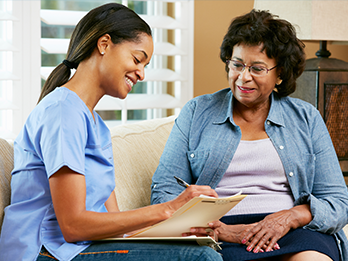 New clients who will participate in this program will be included in National Outcome Measures (NOMs), which prompt clients about their perception of care. Services for this program will be patient- and family-centered, recovery-oriented, wellness-focused, trauma-informed, and will integrate primary and behavioral care. This program will be used to increase access to and improve the quality of community behavioral health services. It will expand services through the use of evidence-based practices to provide comprehensive community-based mental and substance use disorder services. For more information about this grant and other programs, call (855) 608-3560.